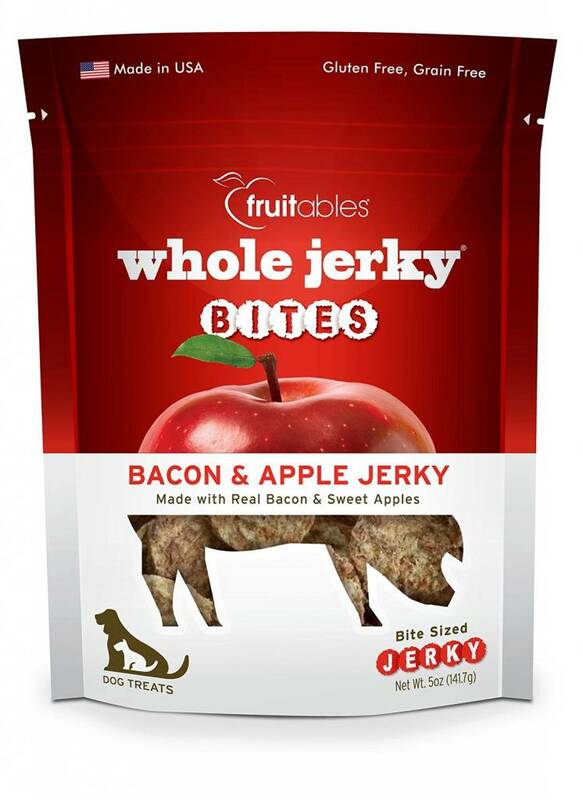 Full of rich bacon and delicately sweet apple flavor, these jerky treats are the perfect occasional snack between meals. 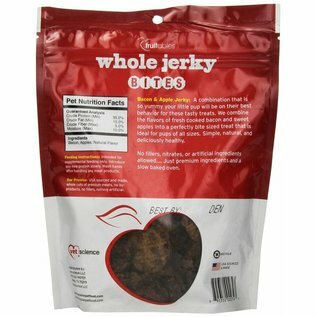 Made in the USA with no grains, gluten, fillers or additives, these three-ingredient treats are big on flavor! 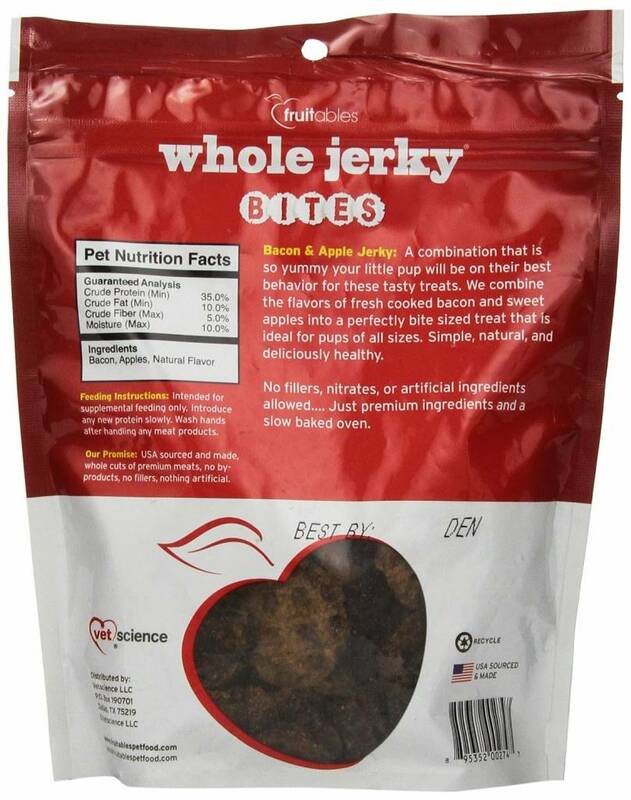 Their small size, slightly larger than a quarter, is great for dogs of all sizes. 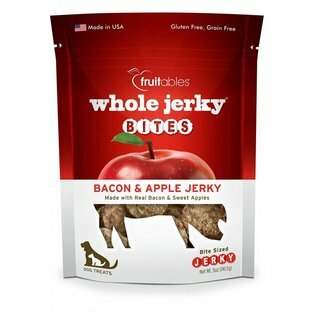 Be sure to grab Fruitables Whole Jerky Bites Bacon & Apple Jerky dog treats for your good dog! For more information, please visit Fruitables.